When we get games early, we have time to prepare pretty cool things for you guys, or at least, we try. 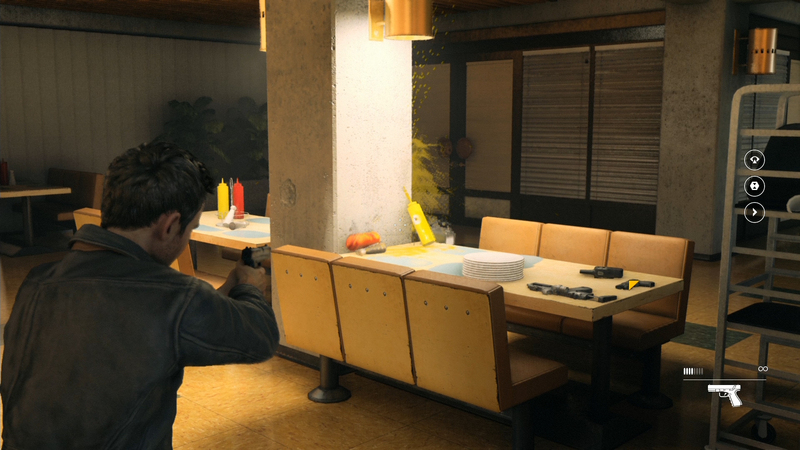 For the first time, you 'll have both a full written preview and four commented videos of Quantum Break. It's not perfect by any means, especially considering this was done using our basic tools (namely Virtualdub and some modified avs to add the audio we recorded separately with Audacity), but we've done our best to get you some nice footage and commentary. The icing on the cake is that we will be live tonight at 10:15 CET and we will show you the first act of the game in the best possible streaming quality. Note: In the first preview video, instead of "next week" at the end, it should be "this week". Note 2: Everything you'll read and hear is based on our experience of the first act of the game. Note 3: The brief peaks at 31 fps in the GSY Tech video are due to the editing the plugin does not interpret correctly. Thank you for taking the time to read our preview coverage of Quantum Break, the next exclusive to come on Xbox One and PC. As you can imagine it has been a pretty highly anticipated title for all those who have been fans of Remedy's work since the very first Max Payne. This week, we are going to show you bits and pieces of the first act only, with more coming next week. This first part of our preview coverage will only focus on the technical aspects of the game, something that makes sense considering the Finish developer has always been known for getting the most out of the systems they worked on in the past. Yet, it's hard not to feel a tiny bit disappointed when first seeing this Xbox One version in action. There are some pretty impressive things to be seen, but some of our expectations have not been met apparently. To begin with, the use of a filter that makes the image a little too blurry to our liking is a bit of a shame (note: according to Digital Foundry, the game's resolution might also be to blame). That being said, aliasing is barely visible as a result, but for those who enjoy observing the environment very closely, the dirty look of the image added to a few less detailed textures will definitely be a bit of a letdown. Our disappointment may however be explained by the fact that the places you'll visit in the first act are less memorable than those of Alan Wake. You'll go through a cafeteria, the corridors of a university, a parking lot, in short, nothing too original. Among the technical concessions we've seen, we should mention the tearing of the screen which can happen once in a while, or the time some of the textures require to load , which can be annoying. Also surprising is the way the level of details has been handled in the game, leading to some odd changes when zooming in with the left trigger. It might be fixed in a later patch, but until that happens, it is still something we did not expect to see in such a linear game. The best example of that is the way trees are modified every time you aim at them. 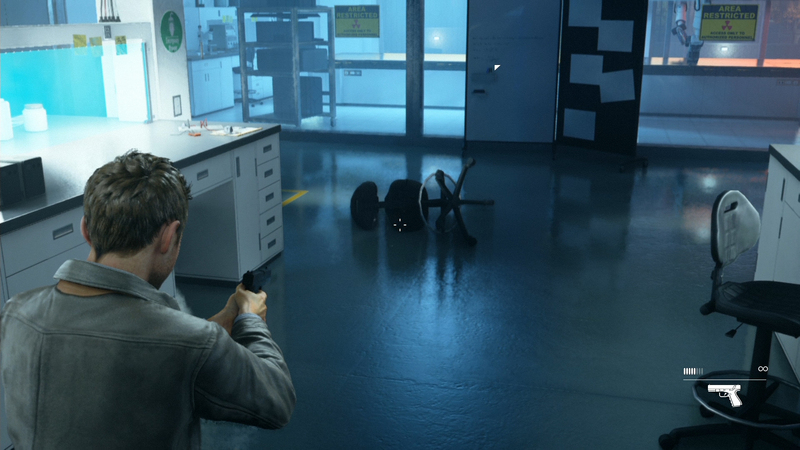 Aside from that, Quantum Break makes the best use of its physics engine, with many interactive objects that fly around when being shot at, which makes gunfights particularly dynamic and exciting. Not everything is perfect in that department either though, as some of the interactive objects can have strange reactions when touching them, like these car wrecks that seem to weigh as much as a cardboard box. What will suffer no form of criticism are the many special effects that are triggered every time you're in combat, or in sequences where time is frozen. This is truly when the game shines and shows how impressive the engine can be. Finally, let's talk about the character's animations, which look very good. Despite a bit of inertia in the character movement, the sense of weight you get from the hero makes the game very realistic and pleasant to play. We also appreciate being able to jump anytime we want, the short platform sequences adding a bit of variety to the mix. It is however a bit annoying to be unable to step over a couch or a fence as you can get stuck in the scenery, which can breaks momentum when in the middle of a fight. 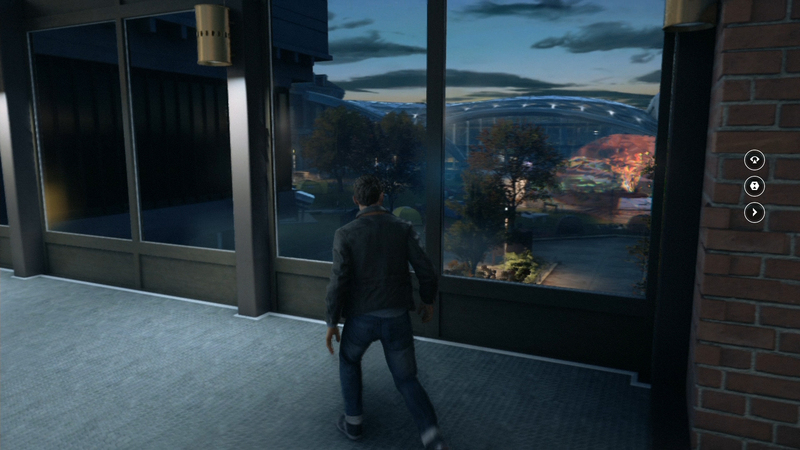 Overall, even though it is hit and miss at times, Quantum Break is still an impressive title technically. 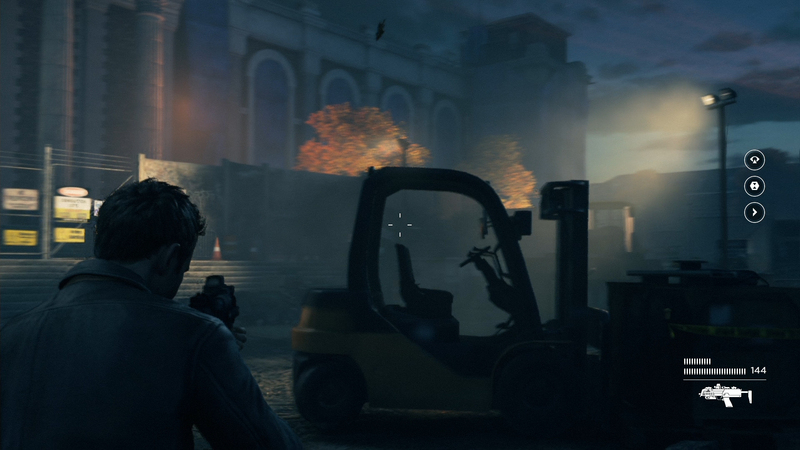 Remedy has made a very good use of PBR, volumetric lighting and all the post-process effects that give the game its personality. Character models, facial animations and cut-scenes also are very well done and there's a huge gap between this and Alan Wake. 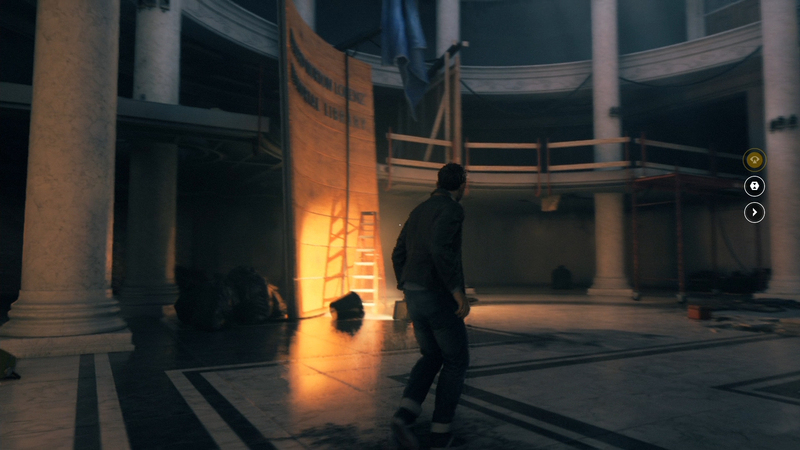 That being said, overall Quantum Break does not look as incredible as The Division on Xbox One, at least based of the first act. We'll have to wait and see the rest of the game to find out, hoping that the patch announced for this week will address the technical issues we've seen. Until then, keep in mind that all we said are only first impressions and, as such, should not be taken for granted. 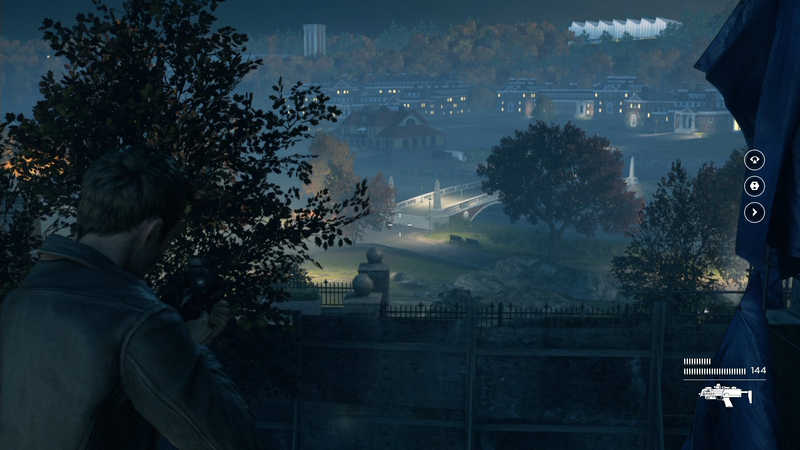 In this second part, we are going to talk about gameplay, based solely on our experience of the first act. Unsurprisingly, Quantum Break relies heavily on shooting mechanics with a cover system that will most certainly become less of a priority for the player as the game goes. The reason for that? The main character's abilities. Jack's powers all being time related, they will actually allow him to navigate a lot more easily on the battlefield. Each of them will unlock progressively to give you a bit of time to understand how they work, but by the end of the first act you'll be able to use most of them. After bringing bullet time to video games, the guys at Remedy are taking it to the next level by giving us access to a new bunch of time focused tools. Less than an hour after the beginning of the game, Jack Joyce is going to unlock special abilities turning him into a real super hero. The first one is the Time Vision and it allows the player to spot nearby enemies and all the items of interest that could be in the area. Shortly after, Jack acquires a second power called Time Stop, making it possible for him to freeze time in a given zone. Shoot inside the time buble it creates and your bullets will gain more power, resulting in even more impressive explosions. The third power grants the player a sort of dash, making up for the absence of a sprint button. With Time Dodge, you move around so fast that time seems to freeze, giving you time to finish off an enemy before he can move again. Then will come the time to learn how to use your Time Shield, a very convenient defensive tool to protect yourself from enemy fire. More abilities will unlock after that, but we'll talk about them next week. A quick word on the type of weapons available in the first act. You'll have to deal with a pretty good amount of recoil for most of them, making it more challenging to play in manual mode compared to most games of the genre. As you can see again, the visual effects during the gunfights are excellent and when used properly, the powers you have in your possession make combat look a lot like a ballet. The enemies don't hesitate to flank you, forcing you to keep moving and to use your abilities as often as possible. The cooldown time to each power is rather short, which is undeniably to the benefit of the fast-paced action the game is aiming for. 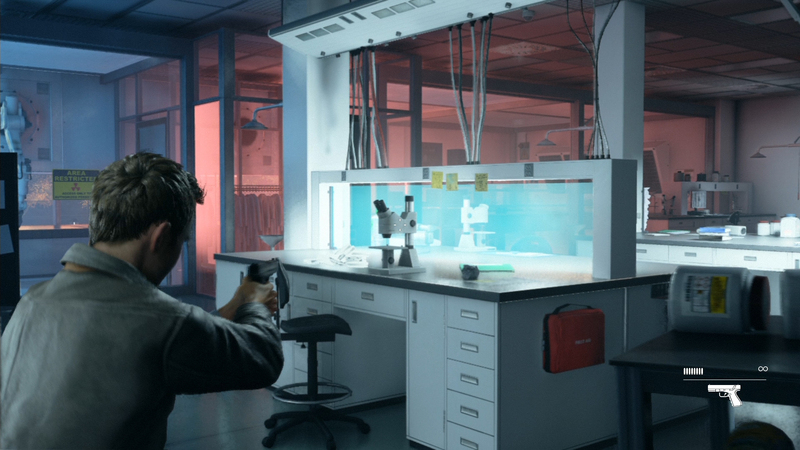 Outside the gunfights, which obviously have an important place in the overall experience, Quantum Break also features more peaceful sequences in which the player can look for optional documents to expand on the game's background. The environments are much more restricted than Alan Wake's in terms of exploration, but the temporal incidents are quite interesting in that the developers seem to have allowed themselves to freely express their imagination. The passage we saw was very stylized and the next ones will most certainly offer a welcome pause in between action sequences. To break the potential monotony of the game, there are also a bunch of simplistic puzzles relying on Jack's powers. The little we have seen is not going to give you headaches, but it's still nice to see that the time abilities we're given won't be only used for attacking baddies. All these passages will also allow you to enjoy the scenery a bit more, looking closely at every detail, should you choose to do so. 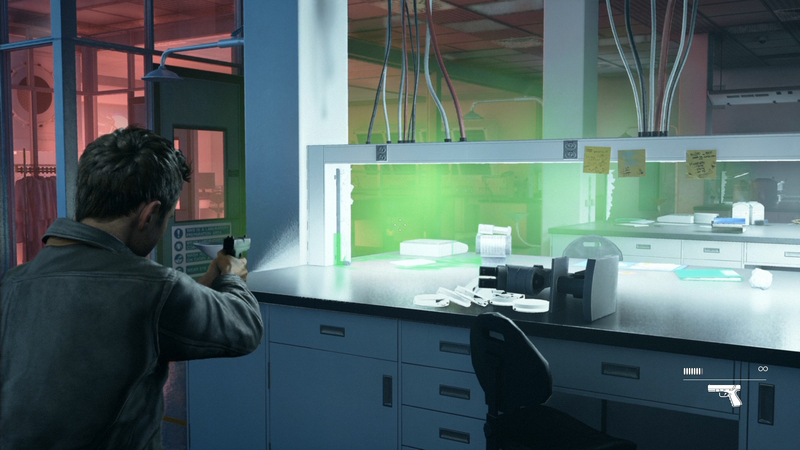 Last but not least, the very structure of Quantum Break is built upon what Remedy calls junctions. On several occasions, you will be asked to make crucial choices to decide how the story will unfold. In this extract, Paul Serene has to decide on the course of action to follow after the events of the first act. He has two options, one of them being more peaceful than the other. What's interesting is that no matter what you choose to do, there will be both positive and negative consequences on the story. It should mean that the game is more likely to explore the grey areas than the black and white ones, which is something we'd like very much. Once you have made up your mind, a percentage will indicate if the community and your friends sided with you or not. 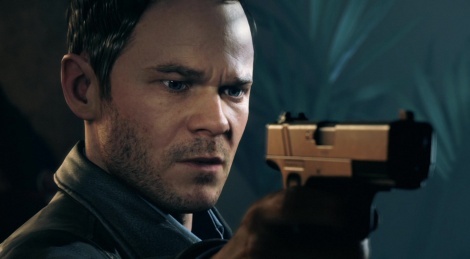 Thanks to the implementation of unique powers and the presence of enemies that will come to get you if you remain behind cover, Quantum Break's gameplay may be a lot more dynamic and fast-paced than we expected. 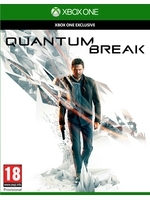 The very fact that the game seems to push the player to be as mobile as possible indicates that Quantum Break is not just a cover based shooter like so many. We'll wait until we see the remaining acts before we can can be entirely sure, but we like what we have seen so far. In the third and last part of our preview, it was impossible not to focus out attention on the one element that has always been praised in the Remedy games: storytelling. Right from the start, their ambitious and innovative take on narrative got people intrigued and wary at the same time. 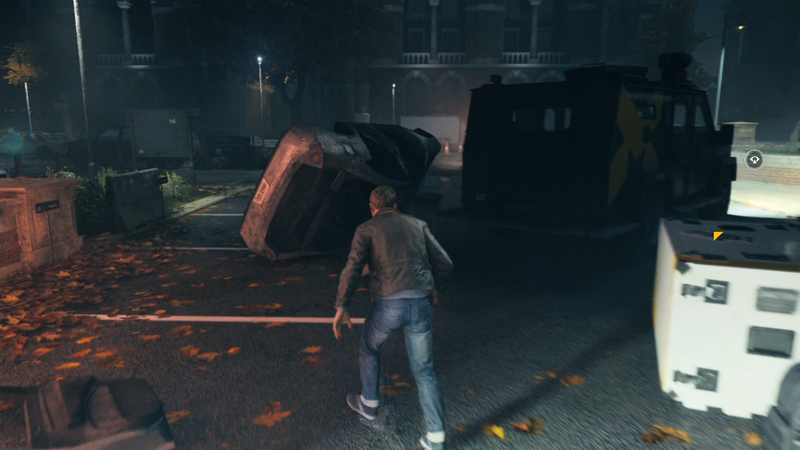 Including a real TV series inside Quantum Break was indeed a pretty bold move on the developer's part. Here's how it works, at the end of each act, you get to watch an entire episode which lasts about 25 minutes, each serving as transition between the key moments of the game. Because we wouldn't want to spoil anything by revealing the tiniest details, we won't tell you what happens in the first episode, the only one we've seen so far. All we'll say is that its opening will show you the choice you made at the end of the first junction. The cast chosen to star in the game and the mini-series is composed of a few well-known faces you'll easily recognize: Lance Reddick from Fringe and The Wire, Aiden Gillen from Game of Thrones, Dominic Monaghan from Lost and The Lord of the Rings, and of course Shawn - Iceman - Ashmore as Jack Joyce. The directing of the series seems pretty solid in this first episode where we see the real life counterparts of some of the characters we ran into in Act 1 as well as a bunch of newcomers. When watching, we found that the events unfolded pretty quickly, probably to maintain a certain momentum and to make sure the game was not left aside for too long. Except for the car chase that we felt could have been much more frantic and spectacular, this first episode is rather pleasant to watch. It's clearly not in the same league as the best TV series out there, but it shows enough promises to make us want to see more. Something that should be said for those who have a slow connection, you'll have the choice to either stream or download the episodes, which should even be doable beforehand. Of course, the narrative component of Quantum Break does not limit itself to the TV series and you'll have your share of visually impressive cutscenes. Remedy did an excellent job at making true to life character models based on the original actors and actresses and thankfully, the in-game cutscenes do not feel out of place when compared to the live action cinematics. Besides, you'll find various types of optional documents to satisfy your thirst for background information. 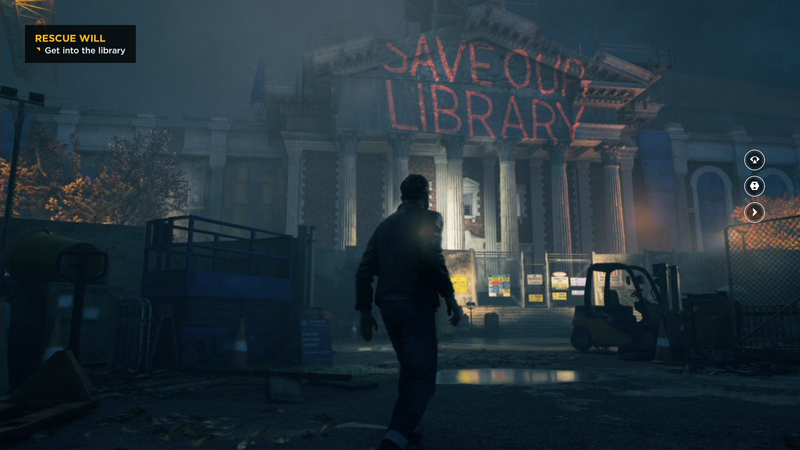 From the little we've seen, Remedy seems to have once again nailed the narrative aspect of their game. It would have been quite surprising if they hadn't considering their previous work, but we are still relieved to see that the marriage of game and TV series plays out as naturally as it possibly could. Thanks a lot guys, best quality on the web! We didn't really bother to check that out. We do not have all the equipment DF has. Thanks for uploading these vids! Has the day one patch been released? I hope these graphical glitches get fixed before launch. Could you please capture a screenshot or video with your capturing hardware with the Xbox One display output set to 720p instead of 1080p? It would be interesting to see if the game outputs at native 720p when the console's output is set to 720p. I think I've given enough of my free time on this preview so no. We are not going to give in to the pixel count frenzy. It's ridiculous, most games weren't even 720p last gen and people didn't have a clue. We are not going to give in to the pixel count frenzy. Jesus, we have a well written preview with lots of videos that will combined give you a great idea of the look and feel of the game but hey, tell me the exact pixels. Why do you care?! If the videos look great to you and you suddenly find out it's 900p or whatever are you suddenly not going to like how it looks? Anyway, thanks guys. Looking like it will be a worthy game to try out w10 store gaming on pc. Are you serious? how can you expect a free site like gamersyde being run by a few volunteers to give you a similar sort of offering as something as big as Eurogamer. My advice to you is not to complain about the unavailability of a resolution comparison video but to actually stop obsessing over resolution differences in the first place. it's pointless in this case because the game is ONLY on XboxOne... and we ALL know the PC offering will have 1080p. The only reason people want the resolution videos are those who want to gloat about how the PS4 is so much more powerful and how it could output this at 1080p...... so my question to you is: Are you one of those people? It seems to be 720p with some of temporal reconstruction to >720p when stationary, the details are only known to remedy though so you should probably be asking them for resolution numbers. "most games weren't even 720p last gen and people didn't have a clue." Are you really saying that MOST (i.e. more than 50%) of the games during last generation were lower than 720p? That's a risky statement. I don't count anything when it comes to frames, Blim's plugin does it for me. Also, yes, to me framerate is much more important than pixel count and resolution in a game. But you know, whatever rocks your world. Pixel counting take time, it's a manual process. Frame counting is automated with a plugin (which took time to make though), so it's easier to make such videos now. Quantum Break uses many techniques to avoid aliasing, thus it makes it more difficult (ie, take more time) to count pixels, watch DF videos about it, it must have took them some time to do it. As we are not paid for this (we do it in our personal/family time), wasting time on counting pixels is not likely to happen on GSY. Let's say a lot then. A lot more than people think, yes, and I'm not just talking about low budget games that didn't sell. Personally I don't give a *** about pixel counting. The review was great and very helpful, that's what matters, so thanks for it. "overall Quantum Break does not look as incredible as The Division on Xbox One, at least based of the first act"
It's not a review, just a preview based on the first act. Ubisoft Massive is actually Swedish. Maybe you should read my post again, but this time properly, and then calm down. So, finished re-reading my post? Because now you will know that I did nowhere ask for a single pixel to be counted. All I was asking for was a single (read: one) screenshot or (if possible) video from your capture hardware with the console output set to 720p instead of 1080p. That's all. And please don't tell me that would steal too much of your precious time.